Leading mailing equipment supplier, AMS are pleased to announce they will be showcasing the new S1 envelope and packaging printer at The Print Show, Birmingham, NEC. The 3 day event will be held between 18th and 20th September 2018 and AMS are exhibiting on stand B10. The show has been designed to serve as celebration for all things print. Every year The Print Show not only plays host to an armada of the latest technology, which spans the full gamut of print production procecesses, but also the launch of brand new systems that are demonstrated for the very first time anywhere in the UK, if not the world. 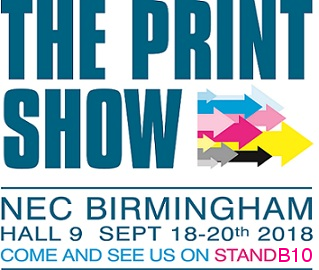 AMs will also be demonstrating our wide range of envelope printers and poly wrapping systems at the show. We look forward to seeing you there.